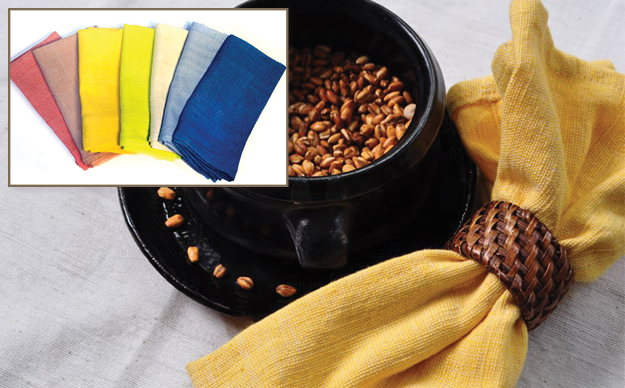 Our classic styled Dilla napkin is handmade of hand spun Ethiopian cotton. These wonderful colors will coordinate our Raya and Dilla tablecloths. Machine wash cold and tumble dry low. No bleach.